Cosmic Shades are the rave sunglasses of the future, projecting light-up, personalized, digital images over each eye! Inspiration - Cosmic Shades was inspired by rave culture, the costumes of famous electronic band Daft Punk, and aesthetic elements of the movie Tron. 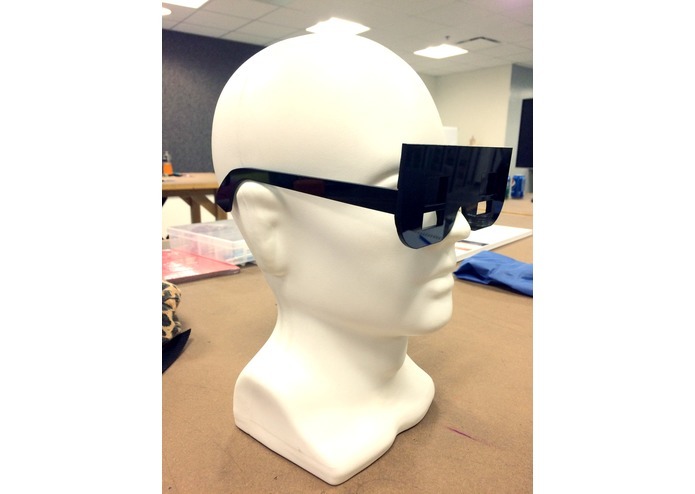 These glasses are designed to give a futuristic method of expression or outlet to be utilized at concerts, raves, sporting events, etc. 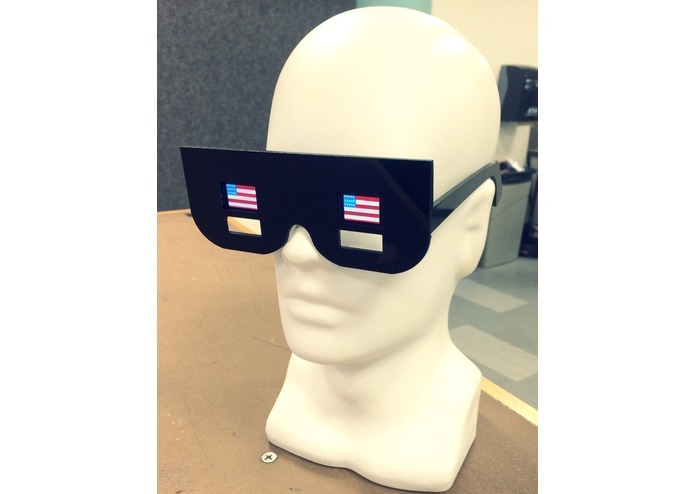 What it does - Cosmic Shades are a pair of glasses that can project digital images over each eye (while still allowing vision for the user) using OLED screen technology. How I built it - The technology used for building this project include two Tiny Circuits Tiny OLED Screens, and digitally designed laser cut acrylic glasses frames. The glasses were assembled with each Tiny Screen fastened over the acrylic cutout above the eyeholes. The Tiny Screen technology is then hidden by an adhesive pocket that still allows for charging, programming, and operation of each screen. The acrylic frames were fastened together using acrylic glue. Challenges I ran into - I really loved the idea of using the Tiny Circuits technology, however I am a designer and not a coder, so I had to explore my resources in order to use this technology the way I wanted to. I ended up coming into contact with a Tiny Circuits intern who taught me a little bit about coding before helping me program each screen. Accomplishments that I'm proud of - I am a female team of one with no coding experience. What I learned - I learned that although working as a team of one was fun and gave me maximum creative leadership, it also allowed for more roadblocks since my knowledge of coding is limited. Having a team with a vast array of skills and strengths would provide a more beneficial learning and creating experience, so that is something I should invest in deeply next time.